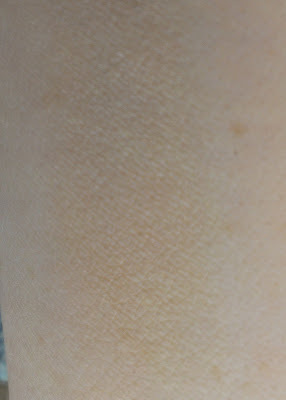 I still haven't tried her Real Deal Concealer, which I've been curious about for a while, because I'm afraid the lightest shade won't match me and I can't deal with the hassle of returning an item that I really don't need in the first place. That said, when I saw this TSV in the September QVC Insider, I was totally pulled in by the fact that the shadows and blush in this kit are matte. 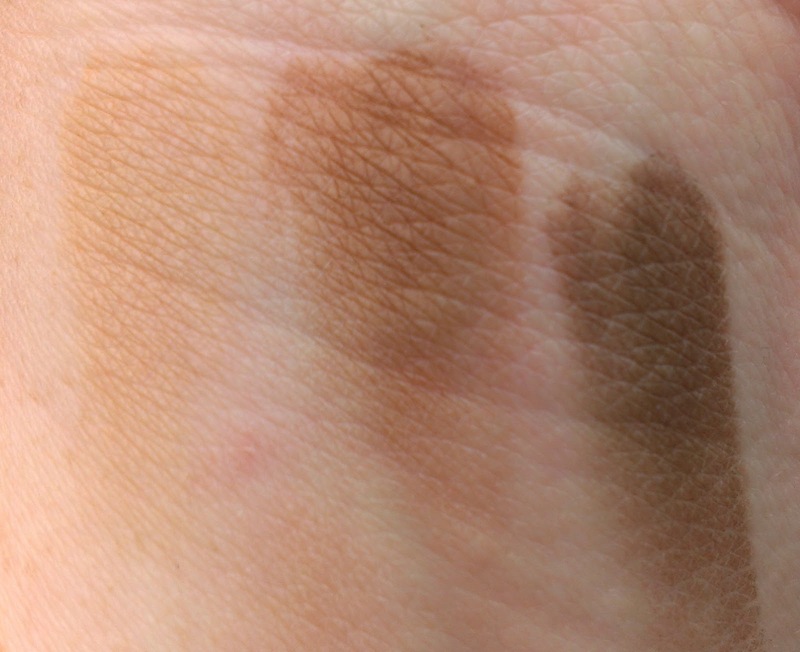 While I am a big, big fan of shimmer, I've really come to appreciate the simple, elegant look of a good matte shadow or blush. The kit includes five items - Balance-n-Brighten, Baked Impressions Blush in Mauve Mocha Latte, Baked Highlighter in French Vanilla, Baked Impressions Eye Palette in Espresso Yourself, and Color Drenched Lip Gloss in Cafe Au Lait - plus a double ended sponge tip applicator. As the name gives away, the collection has a coffee theme going on - complete with the adorable coffee bag packaging that the kit comes in! 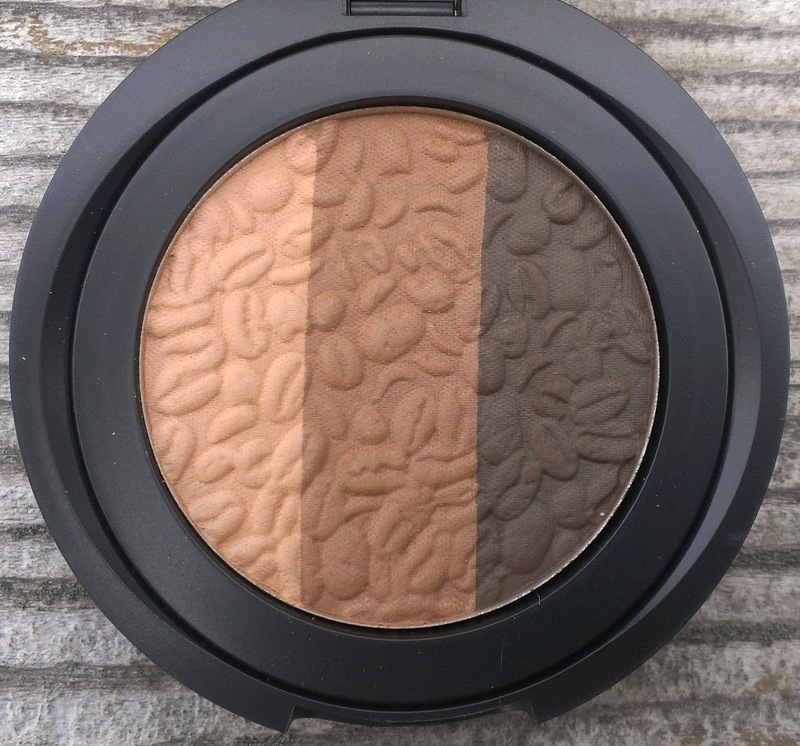 - and the eye shadow and blush have cute little coffee beans pressed into their surface. The Baked Impressions Eye Palette in Espresso Yourself contains three shades - Creamy Latte, a light golden brown; Warm Mocha, a medium brown; and Dark Roast, a rich deep brown. I haven't had a chance to use the shadows yet, but when swatching and playing around with them, they feel pretty creamy and smooth and appear to blend easily. Matte formulas always seem to be a little tricky to get right, so I'm hoping these will turn out to be a winner. The Baked Impressions Blush in Mauve Mocha Latte may be my favorite item in the kit. It does have some rosy, mauve undertones, but it has a very natural look on the skin. 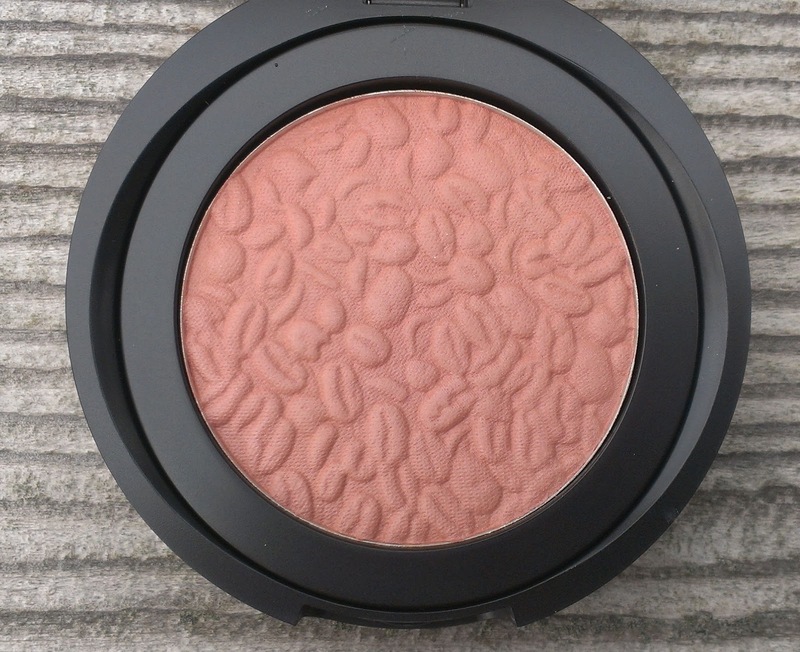 Like the eye shadows, I haven't had a chance to wear this yet but it seems nicely pigmented and blends easily into the skin. 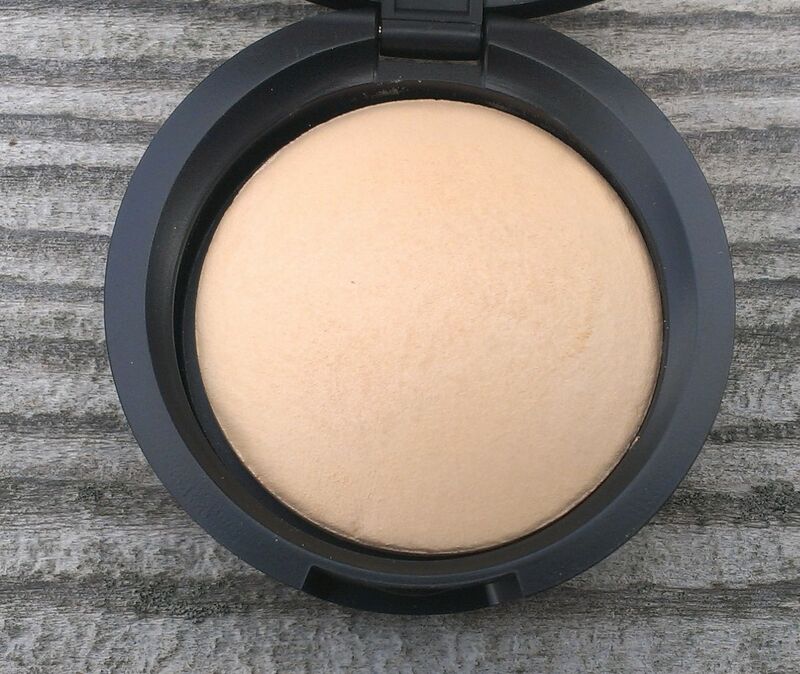 This highlighter is definitely more subtle than the others in my collection, so I think it'll work well for more low-key looks. Much to my surprise, I also like the Color Drench Lip Gloss in the kit. Most of the other Laura Geller lip products - glosses and lipsticks - that I've tried seem to have a dry, heavy feeling that I just don't enjoy. This gloss is nice and smooth, and doesn't have any stickiness or dryness - but it still seems to have pretty good staying power. 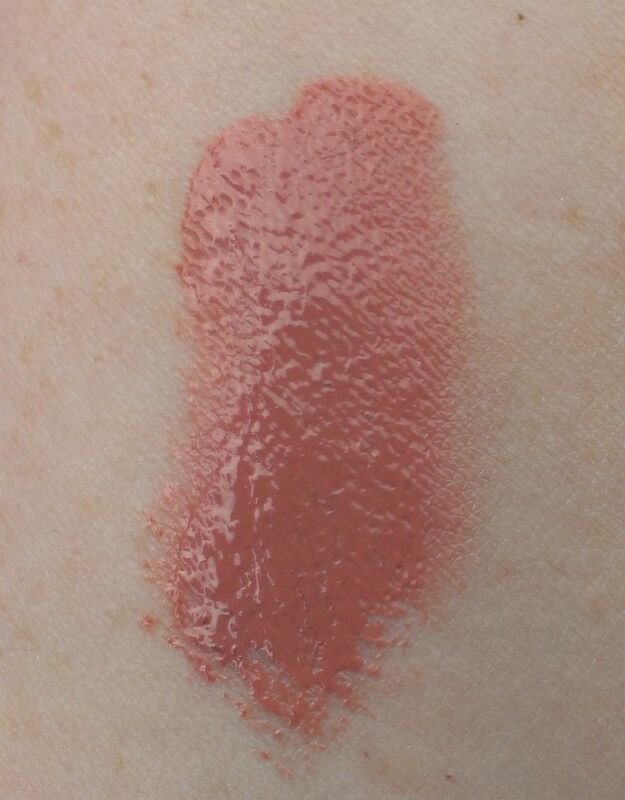 The color, Cafe Au Lait, is a sightly rosy caramel shade that I think will be lovely for fall. 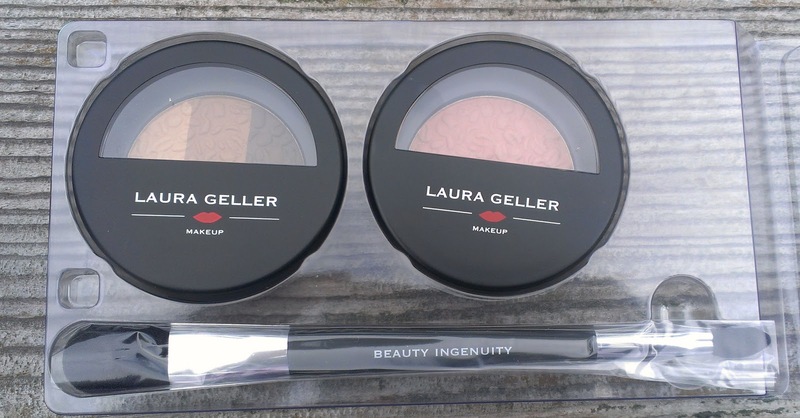 Finally, what would any Laura Geller TSV be without a Balance-n-Brighten compact? 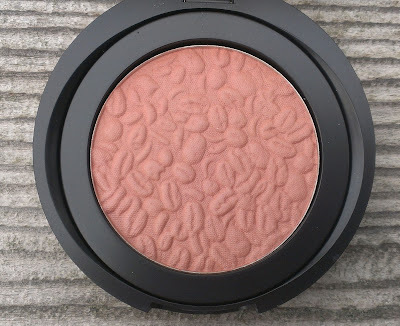 I'm not going to talk too much about this product, though, because I'm pretty sure that it will be included in my upcoming August Favorites. 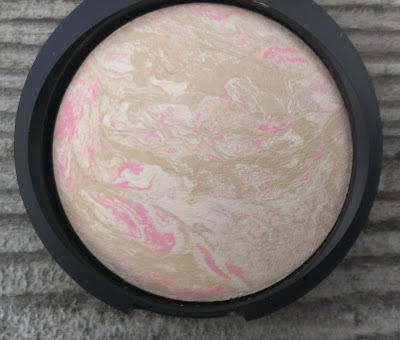 It's a marbleized powder foundation with light to medium coverage that looks really nice on the skin. If you've got super fair skin like me, the Porcelain shade is definitely worth trying. All in all, this is a pretty nice kit. 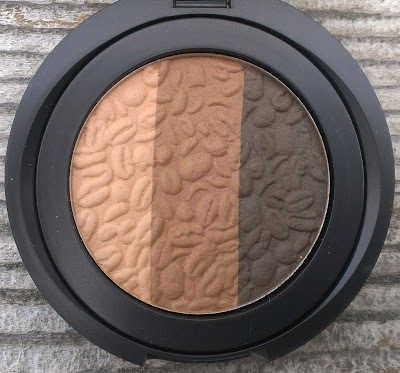 If the shadow formula is as nice as it seems, it's definitely a winner. 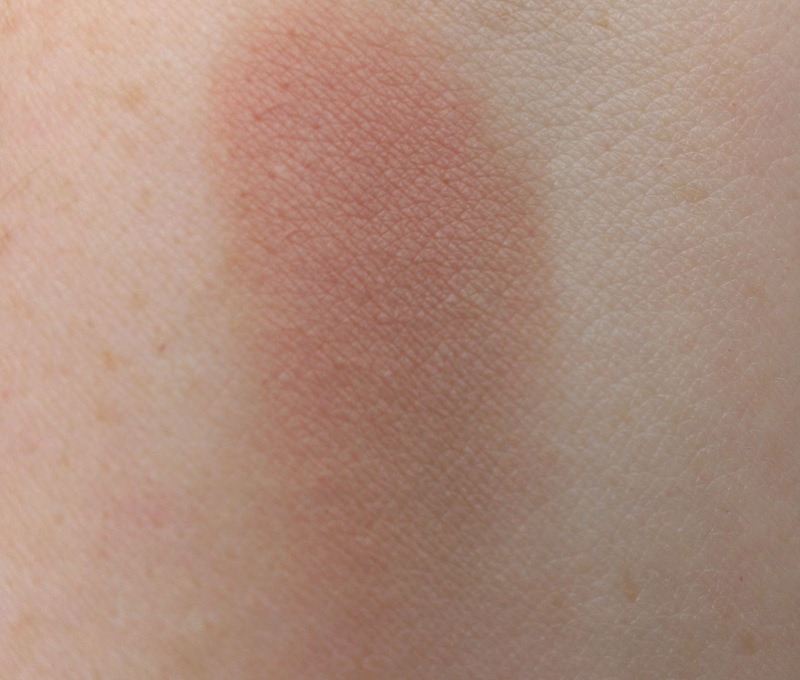 I'll have to keep you posted on that, but I'm already in love with the blush, almost there with the highlighter and in strong like with the gloss. And, as I'm sure I'll go on and on about in my August Favorites, the Balance-n-Brighten in Porcelain has become one of my favorite powders these days. And the value is just outstanding. What new products are you test-driving these days?